Why The Southern Los Padres Trekking Co.? Craig R. Carey is the owner and lead guide. It’s in his blood. Craig grew up wandering the Los Padres backcountry with his folks, his older brothers, and his fellow Scouts. On any given weekend, Craig was swimming the narrows along the Sespe, wandering the granite-clad tops of Mt. Pinos, or learning to navigate the trackless pinon forests of the Cuyama badlands. It was — and remains — a huge backyard full of opportunity. Scout leader, volunteer, advocate. Craig has been leading Girl Scouts, Cub Scouts, and Boy Scouts across the Los Padres for years and leads and/or serves on several US Forest Service volunteer crews across the forest — ranging from microtrash clean-ups in condor country to invasive species removal in the watersheds to trail maintenance in remote wilderness corners. This is the land he loves … and loves to share with others. He wrote the book on the southern Los Padres. (No really, he literally wrote the book! See here for details about Hiking & Backpacking Santa Barbara & Ventura, published by Wilderness Press). Safety. 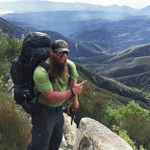 Few know the southern Los Padres better than “the Beard.” Craig is certified in Wilderness First Aid by NOLS’s Wilderness Medicine Institute, and all precautions are taken to ensure a safe and thoroughly enjoyable experience for you and your fellow trekkers. Growing up, Ojai was always the gateway to our backcountry adventures … and so how great is it that the “gateway” has a group providing the community more opportunity for adventures right in town through its conservation and advocacy! The OVLC’s work is so important during these charged times, and the preserves offer a much-needed respite for the wearied soul. I’m glad to have the opportunity to give back and support the Conservancy’s important work. 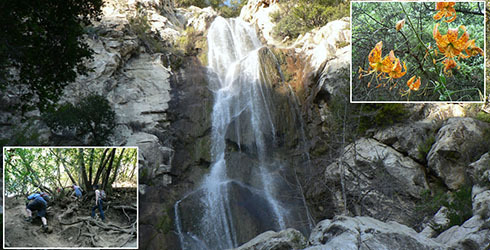 Enjoy a guided day hike in the forest near Ventura, Ojai, or Santa Barbara. Our experienced guide will tailor your hike to your preferred pace and interests, from flora and fauna to local history or wilderness skills. There are several routes to choose from, for beginners through experienced hikers. Trail snacks will be provided, and gear will be provided. Day Treks are limited to a maximum of 8 hikers. 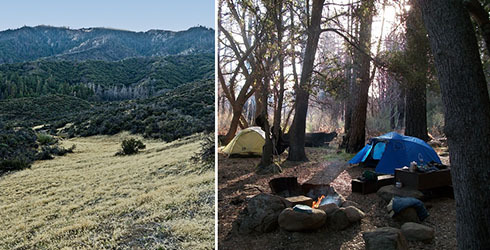 Let our guide handle the logistics while you enjoy a guided overnight backpacking trip in the forest near Ventura, Ojai, or Santa Barbara. Our experienced guide will tailor your trek to your preferred pace and interests, from flora and fauna to local history or wilderness skills. There are several routes to choose from, for beginners through experienced hikers. Meals and snacks are provided, and all necessary gear is included (with the exception of clothing and personal items). Overnight treks are limited to a maximum of 8 participants. The Glass Man Professional Window Washing Company, Inc.
Tonya Peralta Real Estate Services, Inc.